Long Antelope Enterprise Co., Ltd (LAG) is located in Taichung, Taiwan, at the heart of the world's bicycle industry. We are specialized in folding bikes, our company was established at the end of 2005, and we started by developing in R&D with Taiwan's "Cycling & Health Tech Industry R&D Center", amxma Simple One is finally put on the market at early 2009, and its functions bring it to win the "2009 Taiwan Innobike award", by making so many breakthroughs in the field of folding bike. We have close relationships with European countries (Germany, Italy, France, Switzerland...), we own JIS and SGS EN 14764 certifications. amxma Simple One is a multi-function folding bike, that is available in 20". (soon in 16"). We promise to give the best user experience in folding bike to the end-user, that they will never feel the same anymore. 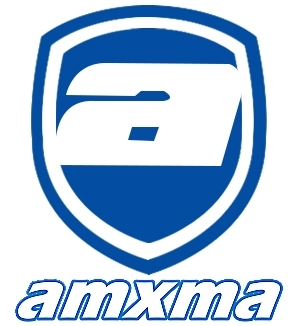 Feel how practical amxma Simple One is, how it can ease your life, how it can save you from spending too much energy, by preventing you from being hurt. We will guarantee the most of all, quality and security. We sincerely believe in long term, healthy and wealthy business relationship with your company, as customers, suppliers and partners all around the world. Our management personnel constantly put efforts on quality control and employment improvement, which guarantees that each bicycle can meet customers' requirements.